Until this morning, it looked like conditions would allow for us to ride safely. But due to the weather forecast that is now calling for freezing rain on Saturday afternoon, the Jan. 3rd Beyond Hope to New Hope 200k has been cancelled and will not be rescheduled. THIS HAZARDOUS WEATHER OUTLOOK IS FOR NORTHERN NEW JERSEY...NORTHWEST NEW JERSEY...EAST CENTRAL PENNSYLVANIA AND SOUTHEAST PENNSYLVANIA. A BRIEF PERIOD OF SNOW AND SLEET SATURDAY AFTERNOON MAY CHANGE TO POCKETS OF FREEZING RAIN BEFORE QUICKLY TRANSITIONING OVER TO ALL RAIN SATURDAY EVENING AS TEMPERATURES RISE. THE GREATEST CHANCE IS ACROSS PORTIONS OF THE LEHIGH VALLEY INTO NORTHWESTERN NEW JERSEY. WHILE ANY SNOW AND ICE ACCUMULATIONS ARE EXPECTED TO BE VERY LIGHT, SLIPPERY CONDITIONS COULD DEVELOP FOR A TIME SATURDAY AFTERNOON AND EARLY SATURDAY EVENING. The course routing mainly uses primary roads, since these have the best chance of being cleared and treated for winter conditions. Due to mixed precipitation in the forecast for later in the afternoon, the start time has been moved up one hour to 7AM. .... you will park your car in the upper parking lot at Footbridge Park in Blairstown. You can then walk across the footbridge with your bike to the diner, where you sign-in -- the diner will be open at 6:30AM but will only be serving coffee until 7AM. There is a grocery store across the street if you need anything more than that to get started. As in previous years, there is no entry fee for PA members in good standing -- you can renew your PA Membership by mail or at the start. The finish controle at the Blairstown Inn is just a couple of stores away from the diner. Reminder: With the limited daylight, lights and reflective gear will be checked at the start. Temperatures at the start just dipped below freezing, as evidenced by the puddles of water seen on the way to the start being glazed over during the first couple of hours of riding. A brisk northerly wind pushed riders along to the turn around point in New Hope. By midday, temperatures made it into the mid 40F's with plentiful sunshine, although the winds certainly made it feel colder than that. But definitely much better riding conditions than the ones for the original scheduled date: although the ice and snow in the weather advisory never materialized, all that rain with temperatures in the low 40F's would've made for a miserable day of riding All 17 riders who made it to start made it around in good time, for another 100% finish: congratulations, and well done for that excellent result. Bill F.. writes: "... Thanks again for a beautiful brevet Sunday. The new route into New Hope was very nice and the stretch along the Wickecheoke Creek coming out of Stockton was absolutely gorgeous. We spent the morning worrying about having to push into the North wind on the way home but we stayed pretty sheltered on those beautiful country roads. A challenging route for a December brevet..."
Jim H. writes: "...Thanks for another great ride. Thanks also to the volunteers who made this ride possible, including Gavin who cheerfully greeted me and the other riders at the finish. The course was more challenging than expected, and combined with the cold conditions (did the mercury ever get above the mid-30's?) and December fitness, or slightly lack thereof, it made for tough going. But all smiles at the finish. hanks for another great year of brevets, looking forward to 2015 and a joyous holiday season to all!...." Mike A. writes: "...Thank you again for another memorable ride, glad it didn't rain this time. Sorry I couldn't hang around for a bit after the ride like I would have liked to this time. That Roxbury Hill Road was quite memorable, great views from atop Bethel mountain. .."
Special thanks to Gavin B. for manning the finish controle, greeting riders and signing them in until I arrived, several hours later. This concludes the Eastern PA 2014 schedule of events. Brevet cards, final results, and the year-end wrap-up will be going out in the coming weeks. The 2015 schedule kicks off on January 3rd -- hopefully, we'll get a break from this stretch of rough winter weather! I'm keeping a close eye on potential ice conditions in the morning: if I see a lot of ice on my drive to Blairstown, there's a good chance that the start may be delayed until road conditions have a chance to improve. The first controle stop is an untimed information controle -- so if you have an early mechanical, before then, you don't have to worry about the time cut-off. The controle stop in New Hope is a WaWa, but you can instead stop at the McDonalds if you would like a sit down meal. With the limited daylight available, lights and reflective gear will of course be required. Due to the latest NOAA weather advisory, the Blairstown 200k originally scheduled for Saturday, 12/6, has been postponed until Sunday, 12/7. CENTRAL PENNSYLVANIA AND NORTHEAST PENNSYLVANIA. The November R-12 is on Saturday, 11/1. We'll be running the Stillwater 200k Retour course but with a couple of route tweaks since the July event -- so those familiar with previous editions will once again need to turn off their auto-pilot and pay close attention to the cuesheet! The changes include a reroute to get you off Rt 94 just past Columbia. There's also a new controle in Lafayette, which will limit the amount of time you spend on some busy roads on the northern extent of the course. Lastly, with the limited amount of daylight in mind, you'll take a straight shot down Rt 579 instead of the twisty Sweet Hollow Rd from the top of the Tunnel Rd climb. A volunteer preride was completed on Tuesday by your RBA and subsequently, the cuesheet has been updated to draft 10, dated 10/29. The start/finish is in Milford, NJ -- the southern most extent of the course. Please note that you'll need lights and reflective gear at the start, which is about 30 minutes before sunrise. Organizer Norman Smeal will be sending you on your way at the Milford Bakery start and greeting you at the Ship Inn finish. There is plenty of parking in the large parking lot on Church St in Milford (PA Randonneurs has permission to use the parking lot off of Church St which is now owned by the Medical supply store at the old bakery location). The Bakery opens at 6AM and has breakfast sandwiches along with an assortment of baked goods. The finish controle and post ride gathering will be at the Ship Inn, a couple of stores down the street from the Bakery. -Watch out for deer, especially on River Rd after the start, and on the descent down from the Tunnel Rd climb into the Milford finish. -Mile 94.1: You'll be turning on to a short 0.2 mile stretch of dirt road that goes uphill. While it's possible to find a good line to ride between the ruts, it might be more prudent to dismount and walk if you are unsure of your bike handling skills on dirt and gravel. -The current weather conditions are calling for some cold and wet riding conditions. It's been a while since we've had a "Character Building Opportunity", but it looks like one is shaping up. This will be a good test of your foul weather gear -- a good place to start is with a bigger bag on your bike for all the spare clothing you'll want to have. -With the rain and wind in the forecast, watch out for slippery conditions for any wet leaves on the road. ... the leaves will be ranging from "high color" to "peak". That being said, with all the rain and wind this past week, many of those colorful leaves are on the ground and could pose a slipping hazard which you should be mindful of. As noted on the website, you should park your car in the large parking lot half way down the driveway on the right -- Not the few spots near the house (which are reserved). Breakfast items (oatmeal, bagels, etc) will be available 1 hr before the start. If you are staying at the hostel on Friday night, early arrivals before 10PM should use the woman's dorm and later arrivals should use the men's dorm. I'll be arriving late on Friday night after a high school football game, but the house parents John and Gerry Anne will be expecting you. ... please send me a link to your tracking page. With only about 10.5 hours of daylight available, 200k riders will need lights and reflective gear, unless you have previously finished the course in less than 9.5 hours. Long-time PA and NJ randonneurs will remember that the design of the 200k course is based on the "Hilly 100 miles" of the 2003 edition of the NJ600k. It's been run as an October event ever since then, as one of the most challenging 200k's on the PA schedule. In the never ending quest for traffic-free and scenic roads, there are several route tweaks for the 2014 edition, so those familiar with previous editions will need to turn-off their autopilot and pay close attention to the cuesheet. The changes start right with the very first turn: instead of left, we'll be turning right from the Weisel hostel driveway and heading to Lower Saucon Valley Road, as a warm-up. 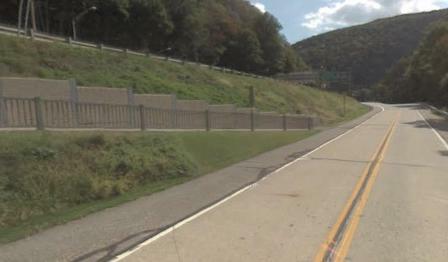 After passing through Easton, some additional route tweaks offer some quieter roads on the way to Wind Gap. After the big climb up Fox Gap, another one awaits you up Lommason's Glen. After the Montana Road descent, additional route tweaks will take you to Tunnel Road, which is the "kinder and gentler" way up Jug Town mountain. But in between, another little lump in the form of Mountain View Road awaits you. About half way up the climb, be sure to look out to your left, where a nice vista can be seen through a break in the trees. The 150k course generally follows the 200k route until Mud Rud, where 150k riders will go directly to Belvidere while 200k riders head into Cherry Valley and up Fox Gap. -Mile 40.9 (200k): As you descend the backside of Wind Gap, watch out for some very hazardous sewer grates in the shoulder -- they are actually more akin to wide open storm drains, and will most certainly ruin your day if you hit these at speed. You'll want to take a line more to the left in order to avoid these hazards. -Mile 111.1 (200k) / 79.7 (150k): There is bridge construction that is closed to cars but is easily bypassed if you dismount and walk around the barriers. Since the road is closed to through traffic, you'll practically have the road all to yourself. But as you get closer to the road closure, the road becomes less maintained -- be sure to watch out for gravel, potholes, and debris, especially on the descent and curve about one mile away from the bridge that is out. John riding with Greg C.
John writes: "...Well yesterday my R12C came to an end. Since last month I learned that my cancer, which had been nicely suppressed for almost a year, was getting smart and growing again. So onto a new, more aggressive chemo regimen I went. Early last week I was down with a fever and wasn't up to par by yesterdays attempt at Crista Borras' North by Northwest perm out of Frederick. A chummy group of 14 set off on a cold blustery day into the North wind. It was evident to me early on that this wasn't my day. Discouraged, I decided to turn back after only about an hour but was encouraged to at least ride the 35 miles to Gettysburg and then head back. So this we did. Brother Art who came all the way from Florida with fiancé Rorie Anderson, as well as Mike Lewis, Greg Conderacci, and Andrea Matney rode into town, took our time truly touring the battlefield and enjoyed a non-rushed sit-down at a coffee shop before heading home with the wind at our backs. The really nice thing was what a good time everybody had. Nobody cared one little bit that they didn't get official credit for the ride. Staying together seemed to be the only mortar we needed as a group. So ends the R12C attempt on the sixth month. I hope to do more brevets, but will not get one in this month. But I really had a great time. I guess it is the journey after all...."
Congratulations to John on a fantastic R5-C streak -- as far as I know, he's the first to reach that inspirational accomplishment. I'm hoping he will consider starting a new streak, and perhaps strive to better it. John has now notched an R-5C with his completion of the Woodbine permanent. John writes: "... Jon Erwin did a nice write up of our ride and he and Bill Beck did a stellar job of documenting it photographically... I was disappointed that Bob Casciato had to withdraw at the last minute due to an illness in his family, but was elated to have Joe and Jane Brown sign on the day before. Their kindness and good company seem worthy of more than just mere appreciation. Jon Erwin was a surprise, to me, late addition to our crew as well. So with my good old friend, and new randonneuring buddy Mike Lewis, our group of five set off on a surprisingly warm September morning. We would soon be joined by Bill Beck riding north from our turn around in Woodbine. As per my more recent 200s I was escorted by loved ones who also happen to be stronger riders than myself but who were happy to ride my slowish pace without any shows of frustration. I always had a wheel to sit on and a good story to listen to. Also as per my more recent rides I hit a physical and emotional low between the 50 and 90 miles marks. Not being able to do any training rides longer than thirty miles and being literally poisoned two weeks out of every four eats into my conditioning. Fortunately I have some neuro-muscular memory that kicks in and my body is able to accomplish with difficulty what it used to be able to do at the drop of a hat. And the final 40 miles or so see me rebound from my emotional ebb such that some joy if not downright elation emerges from the darkness to leave me with a pleasant memory of the whole affair. On this occasion the strong tail wind out of the South played a big role in our return leg. It is hard to envision carrying this on for another 7 months, so I take em as they come: one at a time. The next one is also a permanent, Crista's North by Northwest out of Frederick on Sunday October 19th. There is already a small group of good friends committed including my brother Art who is coming up from Florida just for this ride. More are certainly welcome! -John Fuoco"
John now has an R-4C, with his completion of Eric Keller's "Happy Valley to Buffalo Valley" permanent in August. Riding companion, Doug Haluza writes: "..The ride went well. Weather was perfect. We stopped at Brookside Bikes, an Amish bike shop in Mifflinburg. It's 3/4 of a mile off the route, but came in handy because I flatted in the lot at the start, and again in Rebersburg. ...Happy to Buffalo Valley is a really nice easy century route if you get a ride back from Millheim instead of riding those last 30 miles. ... you lured us in with this nice gently rolling course until we're tired, then lowered the boom at the end with some nasty little climbs in the Tussey Mtn. foothills! Were your ears ringing today? ;-) ....."
John adds: "... Eric, Doug doesn't mince words. And to be honest I joined in slinging invectives unfairly in your direction during the last 30 miles. Of course that was all part of the fun. Great course, lovely day​.. Thanks for putting it together for us. I may revisit it this winter...."
Mike Lewis: also rode with John, and writes: "... I knew I was in trouble after saying halfway into the ride, 'This course is pretty easy.' On the ride back I rode in silence as I thought about the course design, choosing to heed the adage 'If can't say something good about someone, don't say anything at all.' But I will talk now now and throw your way a big "Thank You" for creating a course that made my second brevet such a rewarding experience. Great company, beautiful day, and a challenging ride through beautiful countryside...."
"... I am interested in sending out a note or two about a couple of 200k perms I plan to do in the next couple of months and want to notify and invite other club members to join me. My goal is to do an R12 on chemo. So far its an R3. Don't put any bets down on me but then again don't bet against me either! I am hoping to corral some company with my old friend connections. As it is, I am sick two weeks out of four and unfortunately cannot do many of the R-12 200k's already scheduled by PA and DC hence the need to do permanents..."
- ​Saturday 9/20, Bill Beck's "Dillsburg-Woodbine via Gettysburg 200k", route #2383, also a 7AM start. - Saturday 10/18 is set aside but as yet, no route selected. Best of luck to John on his R-12C quest. If you would like to join John on any upcoming rides, you can post a comment below or send me an email to get in contact with John. The cuesheet has been updated to draft 3 (dated 9/6) with several corrections, additions and clarifications from Andrew Mead's volunteer preride. Andrew's description of his preride: "Epic"
The cuesheet has been updated to draft 2 (dated 9/3) with some minor corrections and clarifications. There is a preride planned for Saturday, so there might be some additional, last minute cuesheet updates. 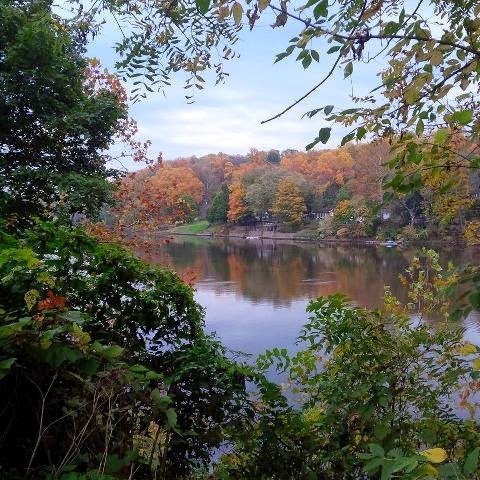 The Eastern PA summer series concludes on Sunday, September 7th with the inaugural edition of the Brandywine 200K; a brand new route compliments of organizers, George Metzler and Andrew Mead. Highlights include the meandering along Brandywine Creek, lots of shade, visiting THREE states, riding along numerous roads incorporating the word "Hollow," and an almost unheard of in Lancaster County 3 mile long descent. After a few miles we begin on an uncharacteristically straight and level Highland Road, which follows the top of a ridge into Western Chester County. You gradually lose elevation as you meander along Buck Buck Run Creek, while skirting the edge of Chester County's horse country which once included a 13,000 acre northern connection of famous King Ranch in Texas. We follow the Brandywine River South from Modena at mile 15. As the river grows and the valley widens you will begin to see the landscapes that Andrew Wyeth made famous in his artwork around his hometown of Chadds Ford which is mile 34 on the ride. As we climb out of the Brandywine Valley on Twaddell Mill road we enter the "House" part of the 200K and enjoy the classic colonial and federal style architecture of Delaware. The Centerville Bakery at mile 38 offers the tastiest treats of the ride which you don't want to miss. Shortly after refueling, look for this home on left side of Way Rd, its a beauty. We re-enter PA just south of the mushroom capital of the world, Kennett Square, which produces over a million pounds of mushrooms per week. 100,000 people will be in this town of 6,000 people on this weekend to celebrate the annual Mushroom Festival. We'll skirt around town to avoid the worst of the crowds. We hope. We continue West and South entering Maryland in open farm fields as we reach the Southernmost point of the ride at the Landhope Farm controle. Rather than dropping all the way down to Susquehanna, we will remain up on the ridge following the Susqueahanna upstream, but inland. As we return to PA again we see horses, but rather than leading a pampered life in the stables of Chester County these are work horses used heavily by the Amish. Having now seen houses and horses, we begin our focus on hollows. There are Tanning Yard Hollow and Scalpy Hollow, both rather bucolic, shaded roads along the way to Buck. You'll want to check your supplies before passing the Turkey Hill oasis in Buck. There aren't many options on course for the remainder of the ride. From Buck, we climb to the top of the ridge for another hollow visit, this time on Snyder Hollow with a glorious 3 mile descent along a little creek. Enjoy. A quick info control as we approach Pennsy Road and then its familiar roads eastward toward Quarryville. Yes, there are a few climbs remaining, but take heart that we bypass everyone's favorite Brick Mill Road and take a much easier path to Nobel Road, appropriately named Mt. Pleasant, for the final roll into the finish. We know you have worked up an appetite by then. Cafe Metzler will be ready.